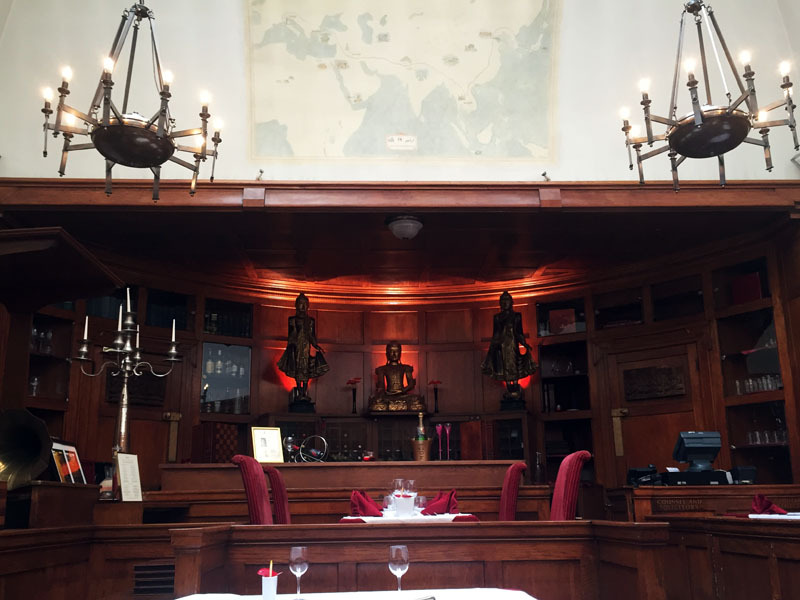 The likes of Keith Richards, Mick Jagger and Oscar Wilde would likely be hot under the collar if they stepped into the Courthouse Hotel's Silk Restaurant, the former Great Marlborough Street Magistrate's Court where they fought to clear their names of various accusations. I, however, was hot under the collar in the courtroom, enjoying a sweet and spicy afternoon tea. 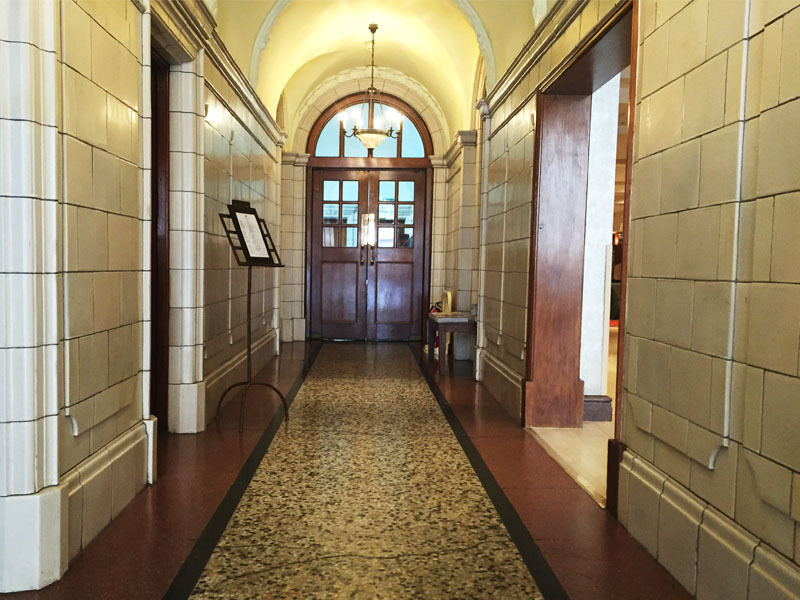 There is a palpable antiquity as you enter the 5 star Courthouse Hotel. 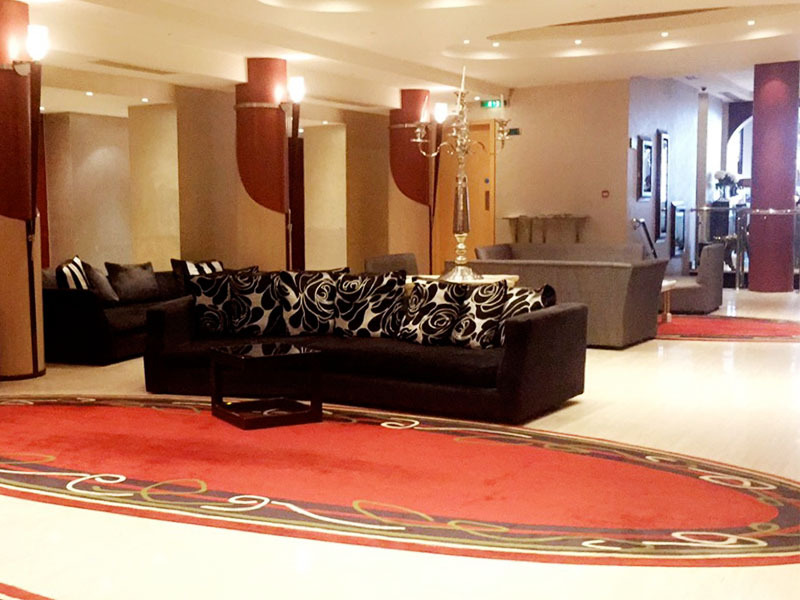 Through the small stone corridor that blocks out the hustle and bustle of neighboring Regent Street and Soho's swarming shoppers, the vast modern atrium of the hotel's main reception is unexpected. 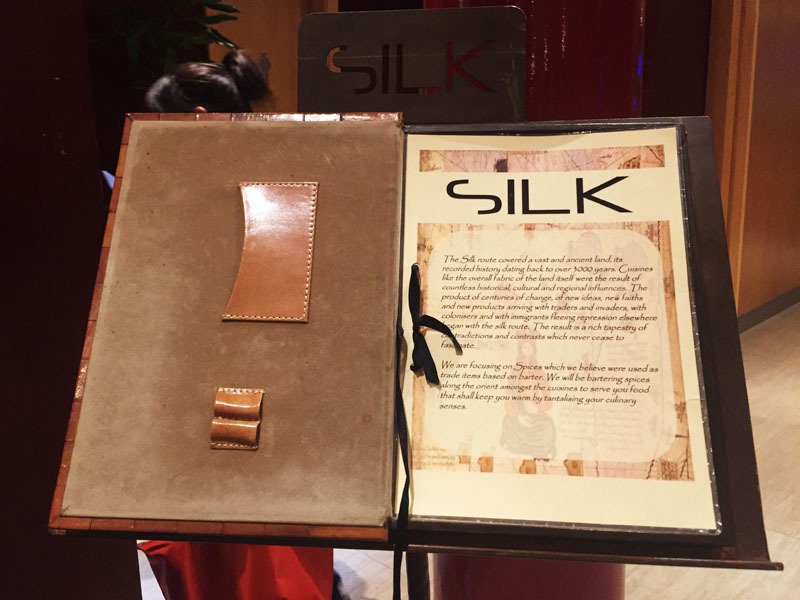 Silk, the Grade II listed hotel's 'destination' restaurant, remains intact for it's original purpose. With the Judge's benches, witness stands and dock now adorned with eastern ornaments, reflecting the Chinese, Indian and Thai influences of the Asian-fusion cuisine that the restaurant now offers. There are two options for afternoon tea here, we opted for the Asian afternoon tea, with Indian influences, although I saw a couple trying the Bento box style Japanese version and it looked divine! I will confess to being a bit of a failure to the Indian stereotype as I can't really take much chilli in my food, and this is definitely not one for the faint hearted out there! 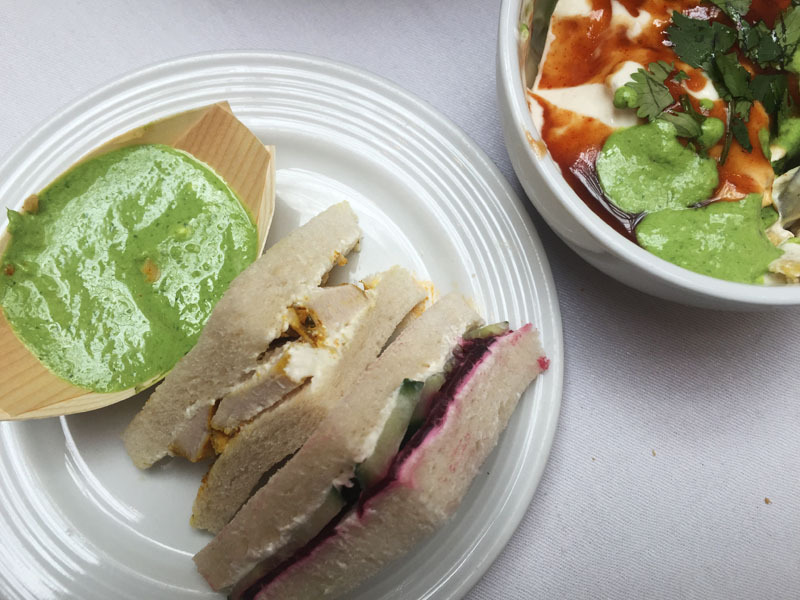 Served are; both cucumber and beetroot and chicken tikka sandwiches, vegetable samosas, chilli cheese toast and potato buns, alongside a, much needed, yogurt, mint, coriander and tamarind chutney. Whilst everything was tasty, those of you who read my blog regularly will know that I do have a bit more of a sweet tooth, and so I was disappointed that the only sweet option offered was a cardamon pound cake, although this was delicious washed down with Masala tea. 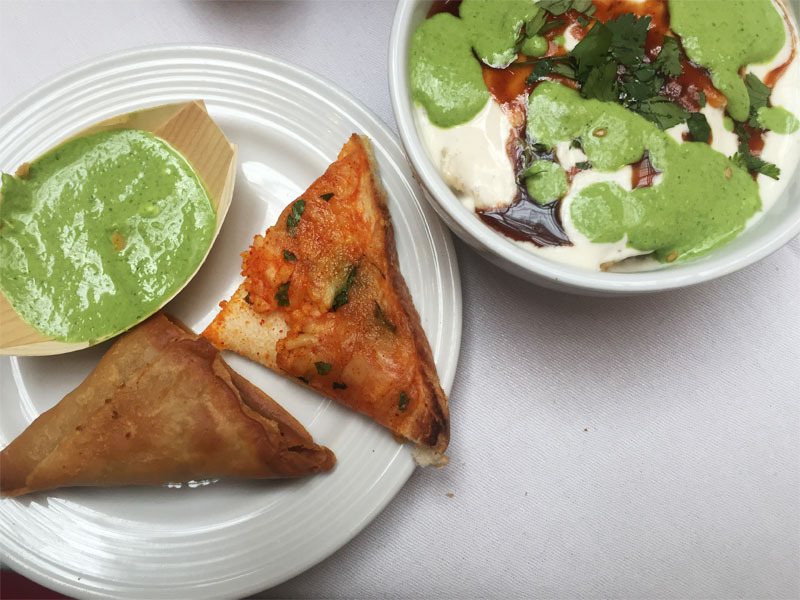 In terms of the food, everything was both plentiful and flavour-full, however the experience did lack some ambience, which is surprising given the rich history of the surroundings. 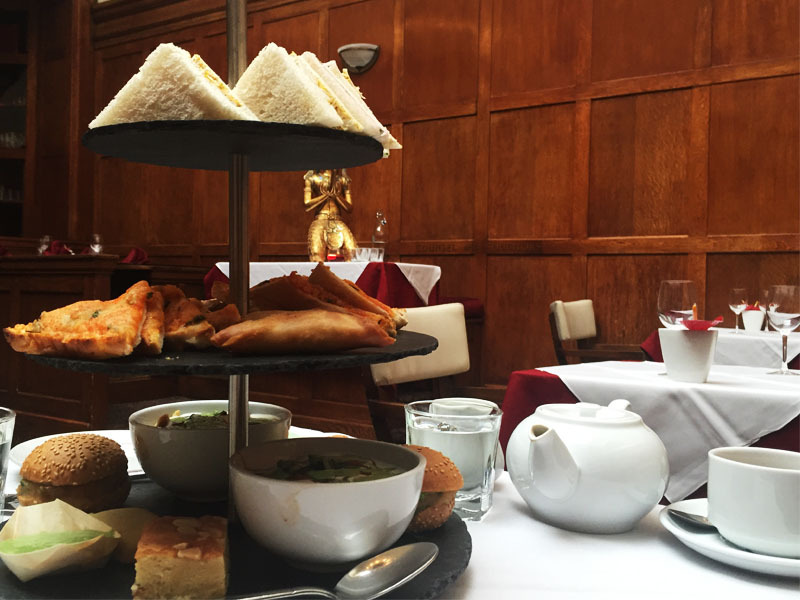 If you are more inclined to enjoy savory, and like your afternoon tea with a bit of a kick then I'd definitely recommend taking a trip down one of London's memory lanes via 'the Silk route', because you might just be surprised with where it leads you. I'm so hungry now. This food looks amazing. Indian food = OMG so good!It just looks amazing. I'm going to try it next time I'm in London! 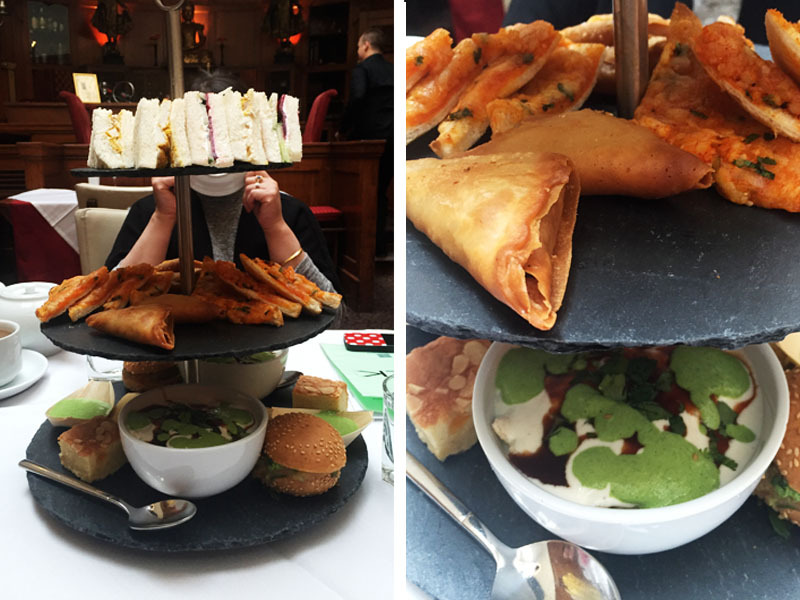 This afternoon tea is so quirky! It's making me really hungry!! I love spicy food so this would be right up my street. I like how the way you write, it's engaging and articulate. I love afternoon teas too especially in nice hotel like this. I've never tried Indian food,but it seems so yummy.! !